ME-Messsysteme recommends solutions from Moxa, one of the leading manufacturers for industrial network technology and serial device servers. The device servers of Moxa are mechanically and electrically connected to the GSV-8 in ME measuring systems. 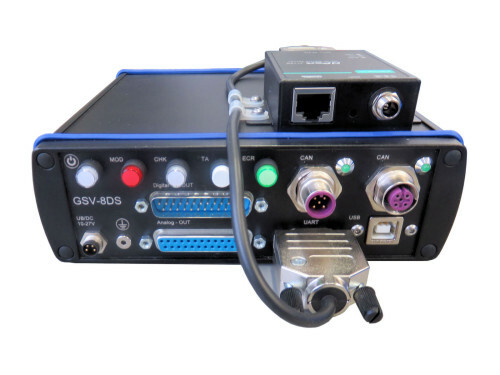 The voltage supply for the device server is made available via the serial connection cable from the GSV-8DS. No additional power supply is required. The device servers offer a robust alternative to the USB port. 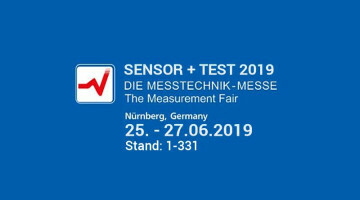 The measurement data are transmitted via the company's internal network, or even over the Internet or via LTE or WiFi. The application software is always the same: GSVmulti. The device servers are then an alternative if (yet) no software is available for the fieldbus CAN or EtherCat. With the device server 5110A the measurement data are transmitted via Ethernet TCP / IP. With the W2150A, the measurement data are transmitted wirelessly via WiFi. 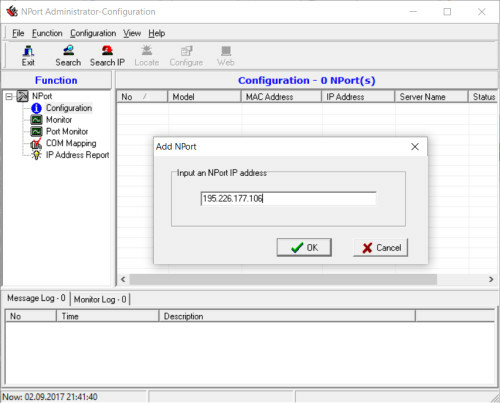 The NPort Administrator software allows configuration of the device server with regard to IP addresses and baud rates. 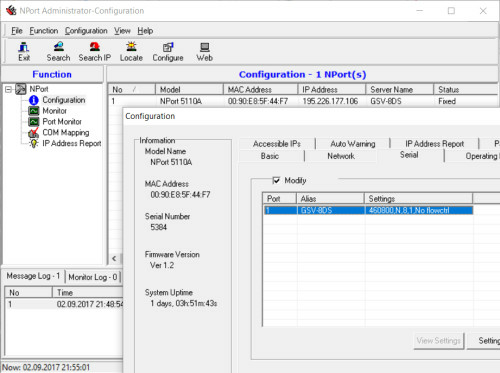 A (virtual) serial interface is set up on the PC workstation (VCOM, virtual COM port). 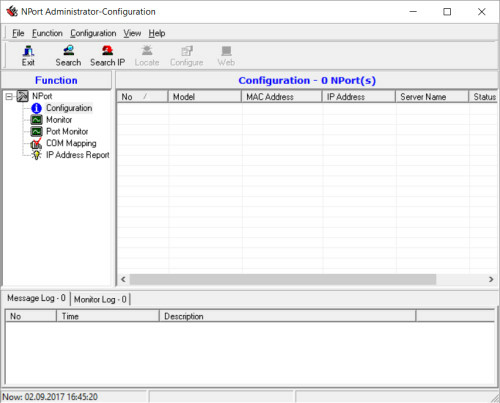 First, the device administrator is searched for in the network in the NPort Administrator. "Search-IP "search on the WWW. 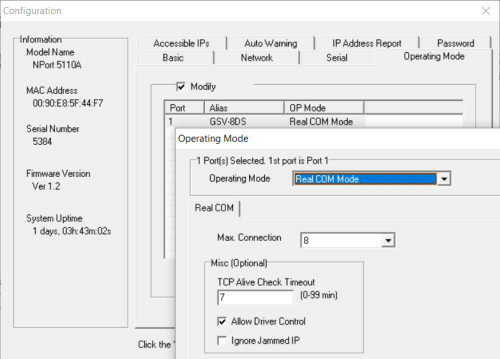 Select the "Real COM" mode if you want to set up a virtual serial port. 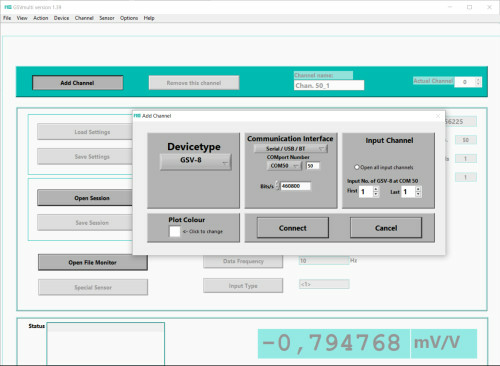 Configure the RS232 of the device to match the RS232 of the measuring amplifier GSV-8. 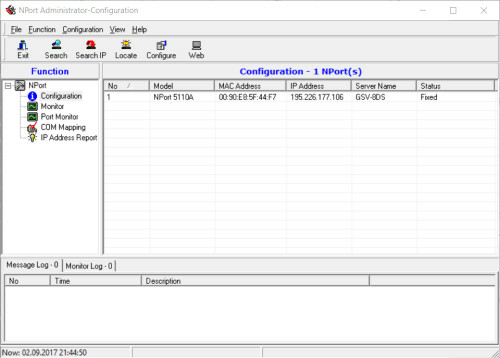 This is already configured for the publicly accessible device server "195.226.177.106". The baud rate is 460800 baud. 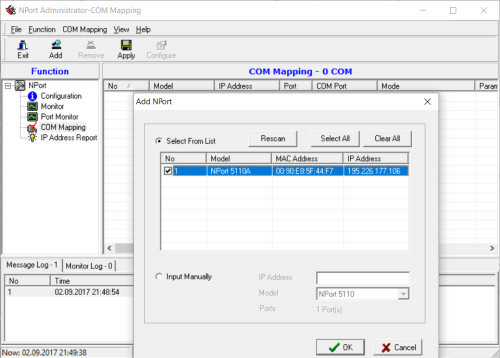 Under COM Mapping, select a name for the virtual COM port. 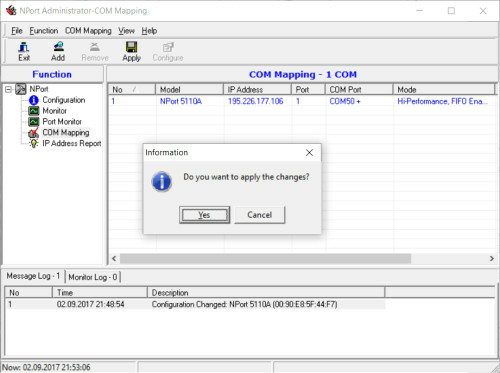 Apply the configuration using "Apply" and create a virtual COM port. This is not visible in the "windows device manager". But the software GSVmulti recognizes this and offers it to the selection. In GSVmulti, select the appropriate interface with the correct baud rate.